What would you do if a child showed up on your doorstep claiming to be an alien without a home on earth? 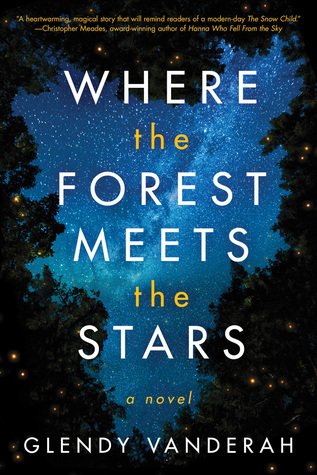 In Where the Forest Meets the Stars, graduate student Jo and her neighbor Gabe are absolutely perplexed by Ursa Major, a brilliant little girl or alien, who refuses to go home. Whenever they try to contact the authorities, Ursa runs away. Jo wants to do the right thing but what is the right thing? The girl has obviously been abused but if she goes to a foster home, will her situation be worse than before? In theory, foster homes should be a safe place for children but too often it is not a good environment. I was holding out hope that she was an alien and would return safely to her home planet. If only it were that easy for Ursa, Jo and Gabe. This book was recommended by Amazon Charts. It looked like an interesting book so I took the bait and downloaded the ebook onto my kindle app. I have no regrets. Basically, I’m saying that you should read the book too.